This article was written prior to release of the Minister’s tarakihi decision. Thanks to a collective effort, LegaSea has gathered over 8000 signatures supporting the Minister to make a bold decision to rebuild tarakihi to abundant levels. Together we have called on the Minister to act decisively. 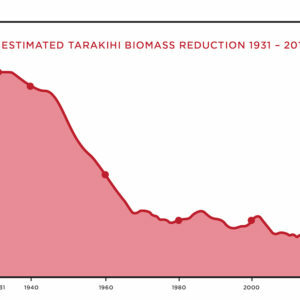 Stuart Nash needs to cut commercial catches of tarakihi on the east coast by around 65%, and to drastically reduce the impacts of trawling so we can rebuild tarakihi within 10 years. 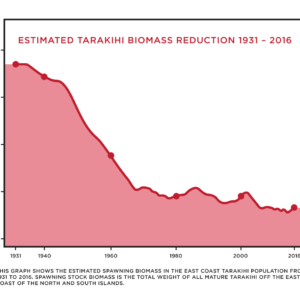 Nash is due to announce his decision any day and he has been informed there is strong public support for rebuilding tarakihi from its all-time low stock size. LegaSea is grateful for the effort of so many individuals, our Partners, and aligned organisations in making the 6-week ‘Time Out for Tarakihi’ campaign one of the best ever. In true reflection of the nationwide appeal of tarakihi, there were people getting stuck in from the far north, through Wellington and onto the deep south. Even the team from Hunting & Fishing in Cromwell got stuck in gathering signatures. Kia kaha. 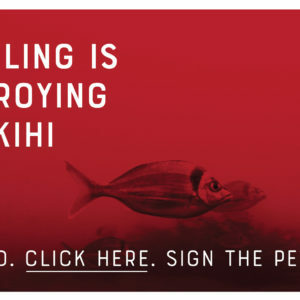 In July, Fisheries New Zealand issued a discussion document proposing a complex range of proposals for the future management of the tarakihi stock on the east coast of the North and South Islands. The most extreme of their proposals was a 20-year rebuild, which we rejected outright. 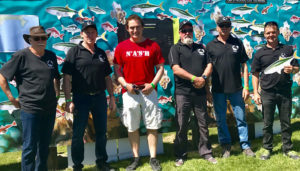 Having only 18 working days to respond, the New Zealand Sport Fishing Council’s resources were focused on researching and compiling a substantial submission. The team managed to finalise and send the tarakihi submission, and eight others, in the last hour before the Ministry deadline. There are 12 recommendations in the tarakihi submission, all aimed at restoring abundance while reducing the impacts of fishing on the marine environment. There is simply no excuse to continue using 19th century trawl technology when there are smarter, less invasive fishing techniques available. And there is certainly no logical reason why such non-selective fishing methods are allowed to be used in known spawning and nursery areas. 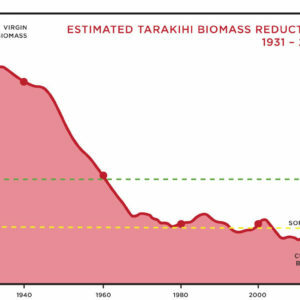 The latest science shows the east coast tarakihi stock has been declining for years and is now around 17% of its unfished biomass, below the limit reference point. If we want future generations to enjoy abundance we need to smarten up our act now. We cannot continue to smash down the benthic (seabed) environment and expect abundant fisheries. Banning trawling and all mobile, bottom contact fishing methods from inshore waters is a fundamental step towards improving the productivity of our marine environment. If this means setting standards and monitoring what is being caught at sea then just do it Minister. No excuses. You have the support of the Fisheries Act. And thousands of people have made the effort and called for more abundant tarakihi stocks. Now it’s your turn Minister.